You'll explore and learn at Marstal Sofartsmuseum and Flaske-Peters Samling • Ærø Museum. Your cultural itinerary includes sights like Hammerichs Hus • Ærø Museum and Aeroskobing Kirke. To find reviews, maps, other places to visit, and more tourist information, go to the Aero trip planner. Cape Town, South Africa to Aero is an approximately 25-hour flight. The time zone difference when traveling from Cape Town to Aero is minus 1 hour. Wrap up your sightseeing on the 21st (Sun) early enough to travel to Soenderborg. Start off your visit on the 22nd (Mon): examine the collection at Dybboel Banke History Centre, step into the grandiose world of Augustenborg Slot, then view the masterpieces at Augustiana Skulpturpark Og Kunstcenter Augustenborg, and finally pause for some serene contemplation at Christians Church. Get ready for a full day of sightseeing on the 23rd (Tue): pause for some serene contemplation at Graasten Slotskirke, delve into the lush surroundings at Graastenskovene, then examine the collection at Papirmuseets By, and finally pause for some serene contemplation at Broager Church. To find reviews, other places to visit, maps, and tourist information, read our Soenderborg trip itinerary maker. Traveling by car from Aero to Soenderborg takes 2.5 hours. May in Soenderborg sees daily highs of 19°C and lows of 11°C at night. Finish your sightseeing early on the 24th (Wed) so you can drive to Esbjerg. Esbjerg is a seaport town and seat of Esbjerg Municipality on the west coast of the Jutland peninsula in southwest Denmark. You'll explore and learn at Ribe VikingeCenter and Naturudstilling Mando. 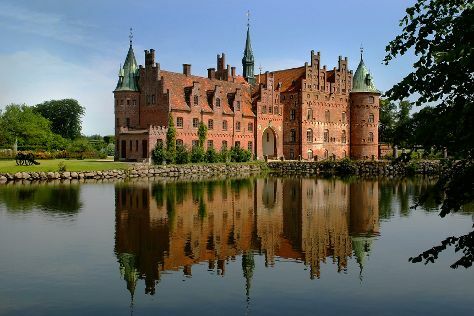 Your cultural itinerary includes sights like Museumsgaarden Karensminde and Sct. Catharinae Kirke Og Kloster. When in Esbjerg, make a side trip to see Skallingen in Blaavand, approximately 40 minutes away. There's lots more to do: admire the striking features of Ribe Domkirke, step off the mainland to explore Mandoe, examine the collection at Det Gamle Raadhus, and look for gifts at Artizan Art and Crafts. For other places to visit, traveler tips, ratings, and other tourist information, go to the Esbjerg itinerary builder. Traveling by car from Soenderborg to Esbjerg takes 2 hours. Alternatively, you can take a bus; or take a train. Plan for a bit cooler nights when traveling from Soenderborg in May since evenings lows in Esbjerg dip to 7°C. Finish your sightseeing early on the 27th (Sat) to allow enough time to take a train to Odense. Do some cultural sightseeing at Odense Bunkermuseum and Broholm. Step off the beaten path and head to Thuroe Minigolf and Møntergården. Change things up with these side-trips from Odense: Vor Frue Kirke (in Nyborg) and Danmarks Forsorgsmuseum - Welfare Museum (in Svendborg). And it doesn't end there: examine the collection at The Time Collection, take an in-depth tour of The Danish Railway Museum, take in the architecture and atmosphere at Sct. Albani Church, and step into the grandiose world of Egeskov Castle. For traveler tips, maps, photos, and tourist information, refer to the Odense tour planner. Traveling by train from Esbjerg to Odense takes 1.5 hours. Alternatively, you can drive. In May, daytime highs in Odense are 19°C, while nighttime lows are 11°C. Wrap up your sightseeing on the 30th (Tue) early enough to travel back home.